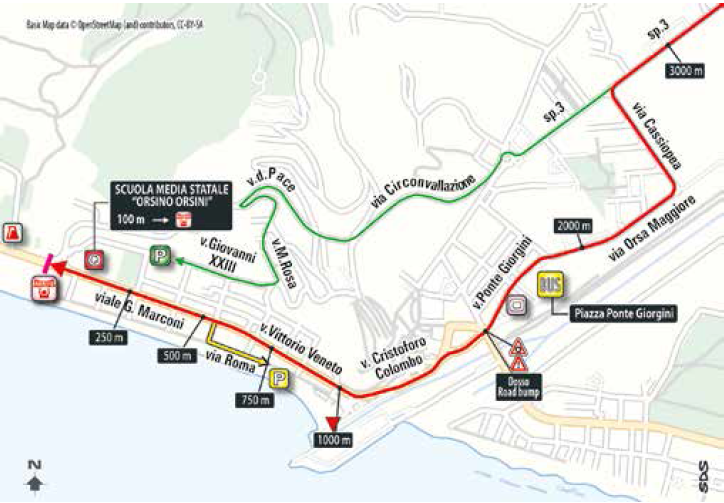 The first time the giro finishes in Castiglione della Pescaia, and barring miracles this will follow the set formulat of breakaway, gets gap, gap goes out, gap comes down, sprint finish. The GC teams of Astana, Tinkoff, Sky all to take a break and it will be left to the sprinters teams, Lotto Soudal, Lotto Jumbo, Giant Alpecin, to dictate the race and fight it out for the win. cleared following a straight trajectory. The racing has been crazy for the past few stages, I expect this will be the first rolling rest day of the Giro. 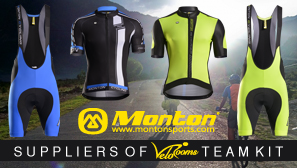 If Greenedge really want it, if they go hard and fast up the climb and get rid of all the sprinters, Matthews can do that. Mezgec will go after a victory today his team is ready after yesterday's race BUT the final dont sut him it is to flat and the same for and if they gonna ride hade in the middel section it will not be enof.. it will be a fast sprint very fast and the best man win #Hofland# MY tip..
was Michele around at the start to have some of the famous waffles? He is looking on his damages after his best giro start..
Rider no. 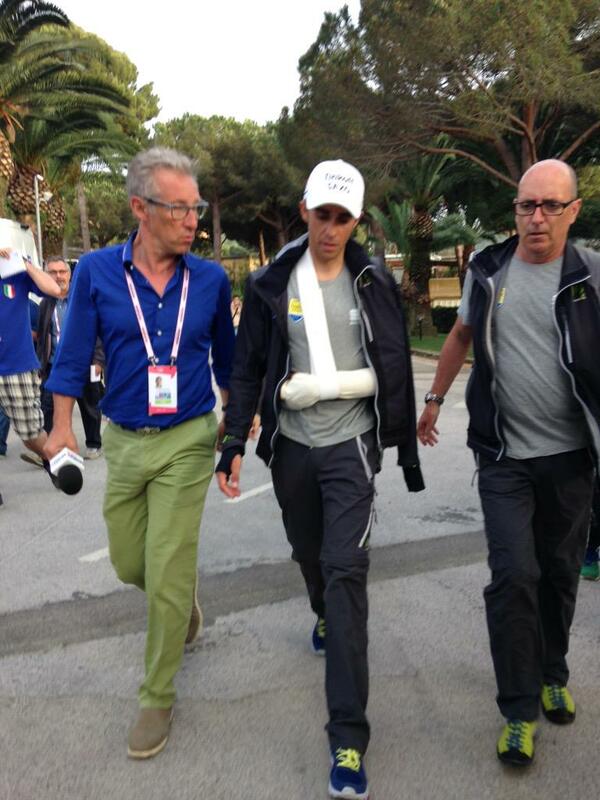 201 Alberto CONTADOR VELASCO (TCS) underwent x-ray and CAT scans of the left shoulder that was injured during the crash. Clinical examination revealed a slight instability of the left shoulder joint, as compared to the right one. The rider experienced slight pain. Rider no. 124 Daniele COLLI (NIP) underwent x-ray examinations that confirmed a compound fracture of the left humerus, while CAT scans ruled out further fractures or damage to the internal organs of the chest and abdomen. It's only a micro dislocation and we all know how good he is after micro injuries. Big win for the Gorilla, big crash for the Pistolero. 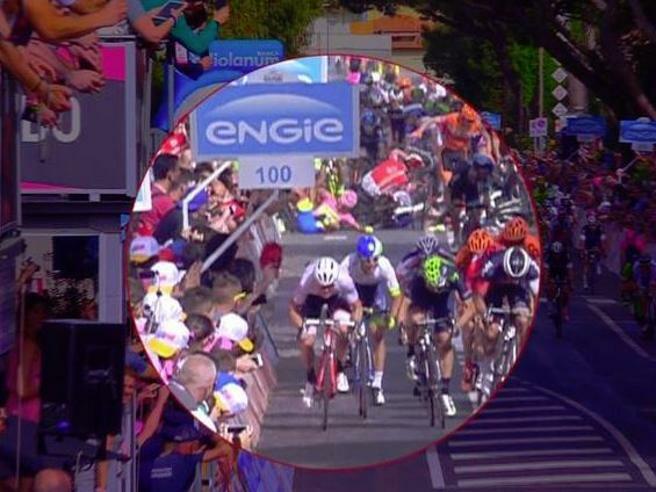 Replays show the cause pretty clearly, the Nippo - Vini rider hits a long-lens camera that is being held over the barrier with the crown of his helmet and immediately goes down. I hope Alberto is able to keep riding well, this race will be a lot less exciting if it loses a GC contender so early. well not really but we will see what happens. I am happy it isn't a fracture though. Just read a report that says it popped out when he crashed and he popped it back in again. Then it popped out again just before the podium. That doesn't sound good. If he can't grip the bars with that arm it will make riding out of the saddle almost impossible, and even riding sitting down very painful. Constant pain is fatiguing too. yeah that's a bit worrying..